Un único sistema monitoreando todos los demás. Integración no solo con los productos propios sino con los de compañias externas a través de los protocolos Modbus, RTU, Ethernet, etc. Unification of proprietary and third party systems monitored by a unique Application. A single alarm List integrating all systems alarm. Availability of different remote monitoring points. 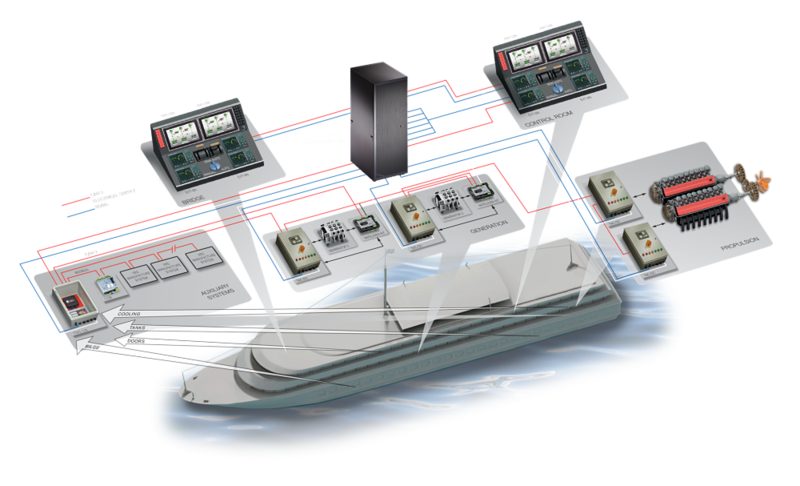 Scada software design according to each application/system. Possibility of duplicated Network (normal and backup). Available protocols of infernal communication: RS232.RS485,Modbus RTU, Modbus TCP/IP. Available protocols of external communication Ethernet, GPRS.